1 Bedroom Town House To Rent in Derby for £495 per Calendar Month. 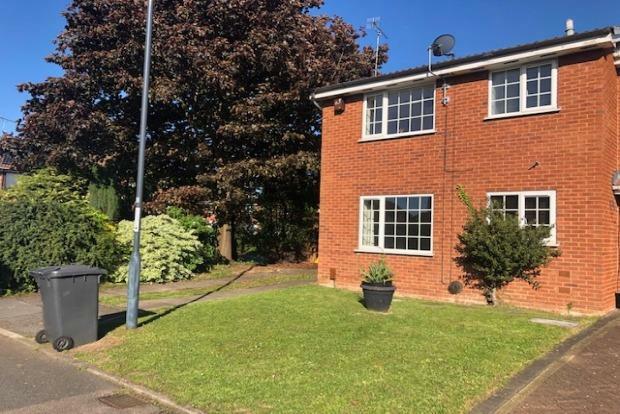 Superbly presented, modern end town house in Alvaston which is situated on the A6, three miles south-east of Derby city centre and it is afforded with excellent road links to the city centre, A52, A50 and M1. Would ideally suit young couple or single and is an ideal starter home. The property comprises of entrance hallway, leading to living room with electric fire in feature surround. Spacious dining kitchen which is well equipped and includes an electric double oven and hob with extractor hood, washing machine and fridge. The open plan stairs from the living room lead up to the first floor where you will find a double bedroom with built in wardrobe and bathroom with three piece suite comprising of bath, WC, and washbasin. To the outside there is parking to the front and a lawned garden area. Please call us on 01332-203830 to arrange a viewing or if you have any further queries relating to this property.